Now let’s take a look at each of these three methods for tracking your web pages with Google Analytics..
Ahh yes, those were the days.. This method worked great for years, and continues to work just fine to this very day. Although I personally would recommend using one of the newer methods of including the GATC, you may still use this old-school method by simply copying and pasting the code into the bottom of your web pages, preferably before the closing <body> element. And then don’t forget to edit the “UA-XXXXX-X” string to match your actual GA ID. So that’s pretty boring — let’s check out something a little newer.. In late 2007 – after years of using the original urchin.js script – Google updated and improved the GATC and renamed the tracking file to “ga.js”. As of now, this new tracking code is the platform on which all new Google Analytics features are deployed. I think this is the GA-inclusion method that most bloggers and designers are using in their pages. But even so, there is yet another way of including the tracking code that improves the user-experience for your visitors.. 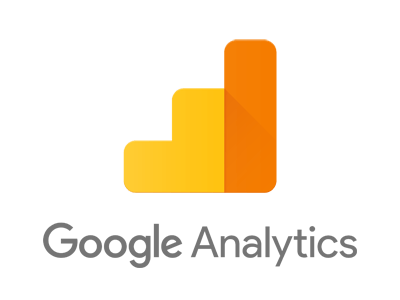 This code represents the minimum configuration required to track a page asynchronously using Google Analytics. To take advantage of this method, you can use this tracking script on your pages by following the simple steps below. To go beyond the basics, check the official tracking reference and usage guide for information on the GA API and proper asynchronous syntax. Google indicates that the new Asynchronous tracker should be placed at the top of the tag and not in the section. (I found out about this a few days ago as I also read on the google analytics site that the new tracker should be placed in the section>. The traditional ga.js snippet (Option #2) should go before the closing BODY tag. The async snippet (Option #3) should go after the opening body tag. To avoid confusion, I’d really appreciate if you update your (very nice) guide. Great article, Jeff; I didn’t know GA could track async transactions now; many thanks. I was also unaware of this. Many thanks. Now have to update GA code on many websites. This is a great heads-up Jeff, many thanks. Have you tried the new method, and what did you observe insofar as load times relative to previous versions? It’s definitely bothered me in the past when the GA script held up my page-load. Thank you Jeff for sharing your insights on Google Analytics tracking. The only method I have used is the old school method because shortly after that, I started using a WP plugin for Google Analytics that pretty much keeps a lazy user’s hands off hardcoding anything into the theme files. However, in a recent effort to reduce server and CPU load, I have been cutting down on the number of WP plugins I’m running but I was still totally clueless on getting GA to work without a WP plugin. Your tutorial is such a life saver, thank you! Have a lovely Sunday and a great week ahead! @Trav: yes, it took a bit more time to get it setup and working, but the performance boost was definitely visible on my test site. I would say definitely worth checking out. There may already be a WordPress plugin for it, but I haven’t searched yet. @Teddy: absolutely my pleasure — glad if it will help. I think it’s good to have all three GA techniques summarized for easy reference. I still run the old urchin.js method on a few sites, but newer sites get the ga.js treatment. Also, on some of my personal sites (such as this one), I don’t use GA at all, preferring the more closely integrated Mint to keep an eye on things. Thanks for sharing this type of important information.